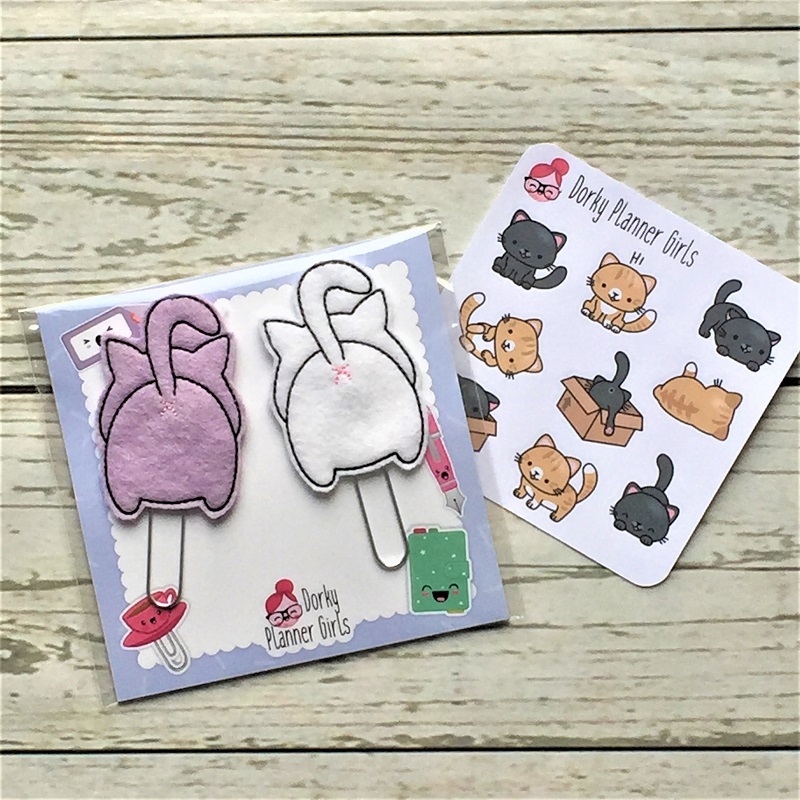 These cuter than cute handmade felt paperclips featuring cat butts were featured in our November Plan Ahead box. This set includes two paperclips (various colours) along with a mini sheet of kitty planning stickers! These were made by Etsy seller DorkyPlannerGirls.